When the time comes to shop for a mattress, there is a vast array of factors to consider. The average human spends about a third of their life in bed, and this amount of time needs to be spent resting and recovering your body for the next day. Support and comfort are the most important things to consider when buying a mattress, but these two topics are completely subjective from person to person. 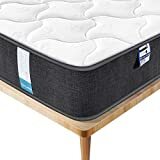 This buying guide should help inform you about the different types of mattresses on the market today, as well as what will be best for the body’s natural alignment and comfort. An important decision to make is how much support you are looking for in your mattress. This stems from the core of the mattress, which comes in four common types: innerspring, latex, foam, and air-filled. Innerspring: These mattresses are the “typical” type of mattress. 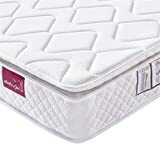 They have metal coils ranging from 12- to 18-gauge that allow you to determine how bouncy or firm you want your bed to be. The outer layer is usually made of fiberfill, foam, or a pillow top. Innerspring mattresses may offer firmer support for people who are overweight, as the beds can easier to get in and out of. Firmness also may help those experiencing back pain. 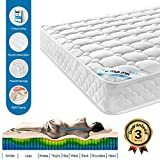 Memory Foam: Made of layers of different foam densities that respond to weight and temperature, these mattresses have much less spring than innerspring options. The thickness of the foam varies from 2-6 inches and will determine how far you will sink into the bed. This type is good for people who like having a firm base to sleep on. 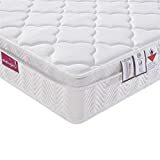 This is a great choice for those who tend to sleep on their side, as it offers support and conforms to every body shape and size. Memory foam also absorbs movement and can be a solution if your partner tends to toss and turn during their sleep at night, waking you up. Latex: This type is known for providing a not-too-firm, but not-too-bouncy feel. Unlike memory foam, you are not sleeping in a cocoon of denseness, as the latex can push back and provide a firmer support system. Latex is antimicrobial, resistant to mold and dust mites and can last greater than 20 years. There are two different latex materials: Dunlop and Talalay. Dunlop is more dense and heavier when compares to Talalay, which is softer to the touch. Latex mattresses are a go-to option for those who have allergies. They are also great for relieving all kinds of back pain due to the support and comfort of the entire bed. Air-filled: Air-filled mattresses can be customized. Many models have two separate chambers, which enable maximum comfort for both you and your partner. A remote control determines how much air is inside the chamber, allowing you to choose how you would like to be supported during your sleep. If one person has a bad back, the firmness can be set on just their side of the bed to gain relief, while not affecting the other person in the bed. What size mattress do you need? Consider the space that the mattress will be residing in, and measure carefully to provide ample amount of room. Density: Some people do not weigh enough to receive the full effects of a very firm mattress, such as with foam mattresses. These are supposed to hug and contour your body, providing extra relief and support. 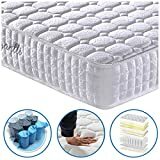 It is good to know whether you will be receiving the full effects that the mattress has promised, or if you will need to look into other options. Body ailments: Many mattresses are specifically designed to help alleviate pain and realign your body to its most natural posture. 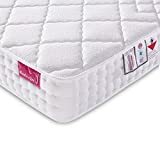 This was very important to many people, as switching from previous mattresses have solved many of their issues. Durability: If you are going to be investing in a mattress that is quite pricey, it better be able to withstand all that it says it will. People mentioned that over time, the bed might not feel as it did when you first bought it, such as with the standard beds that use coils. However, mattresses made completely out of foam have been said to remain like new after years of use. There is a difference between firm support and firm feel— though you want to have both a firm support and a comfortable feel. Firm mattresses that are not comfortable may be causing you back problems instead of resolving them. 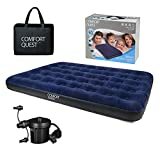 Is there a comfort guarantee? Some companies will allow you to try out the bed for a certain amount of time, which is really helpful because some mattresses may not be as great as they seem. The right mattress should keep your spine aligned. Shop for the right price— oftentimes, a cheap price may mean the bed is of cheap quality. Let your mattress breathe. 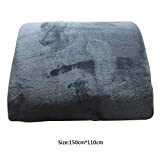 Being packaged and shipped may cause the mattress to have a unique or unpleasant smell, but this should go away after being placed in an open area. Lucid: This company has altered the typical construction of a memory foam mattress. Their “open-cell construction” makes the typical memory foam mattress even softer, and can better help relieve shoulder, neck, and back pain. Bamboo charcoal is infused in some of its products, which makes the mattress more breathable and temperature regulating. Signature Sleep: As an eco-friendly company, all of the mattresses are created without releasing harmful substances into the Earth’s ozone layer. 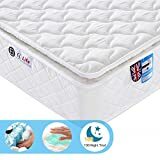 It also offers a twist to the regular innerspring mattresses; “Renew Gel” covers the top of the mattress so you can sleep comfortably, especially if you get hot. Sleep Innovations: This company works mainly with foam mattresses, and has many different types to fit your needs. They have a 30-day risk-free policy as well, allowing you to actually sleep on their products in the comfort of your own home.